Roulette 3D by iSoftBet follows the rules of classic European roulette and contains highly-detailed graphics, as you can guess by the name. Because of the rules of the European roulette, the wheel has only one “0” digit. (The American version has both “0” and “00”.) The interface looks different than the usual roulette games, but it is easily understandable. A 3D roulette wheel covers almost half of the screen, it spins non-stop. The roulette table is located at the top, and you can place your bets by clicking on the sections you want to bet. As you know, you can bet on a single number, a range of numbers, colors (red or black) and whether the outcome will be an odd or even number. But before all of that, you need to set your bet amount. This can be done by selecting poker chips from the upper right side of the screen. Each chip has a different numerical value which is in between 0.1 and 50.00. 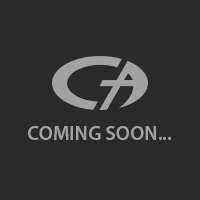 Click on the chip of your choice first and then click on the section you want to bet on the table – easy. (For split betters, there is a mini image of the roulette table at the upper right.) After that, you can press the “spin” button. Watch the outcome and try another round, you can use the same betting preferences (“rebet & respin” button) or start a fresh round (“spin” button). For easy and fast gameplay, each section on the table will show its payout and probability if you hover your mouse over them. For example, “Red 5” pays 35 to 1 because of the low odds. On the other hand, “3rd 12” pays only 2 to 1 because it has high probability. In the demo version, the maximum bet you can place is 10 coins. Also, a minimum of 0.1 coins is required to enter the game. 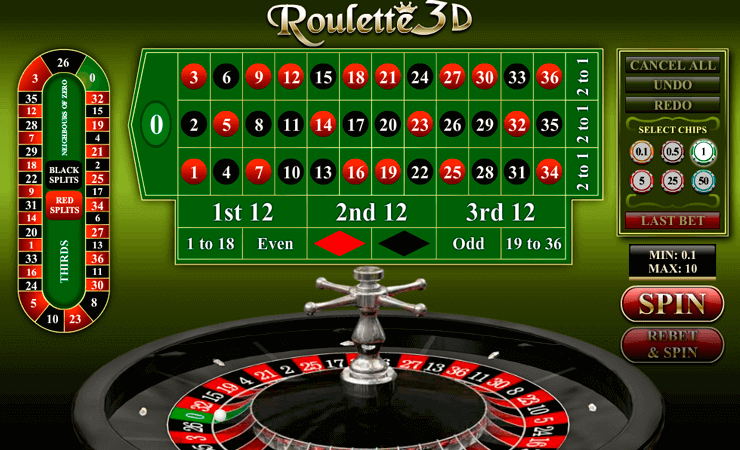 Roulette 3D gives you 1.000 complimentary coins in the demo mode. You can easily get hours of free gameplay even if you keep losing. The payout values are standard, but the game looks very nice and easy to play. Highly recommended, especially if you are a beginner. You can use the game for practice or free gameplay, both are possible. Play at Casino Avenue to find more casino games suited for your needs!